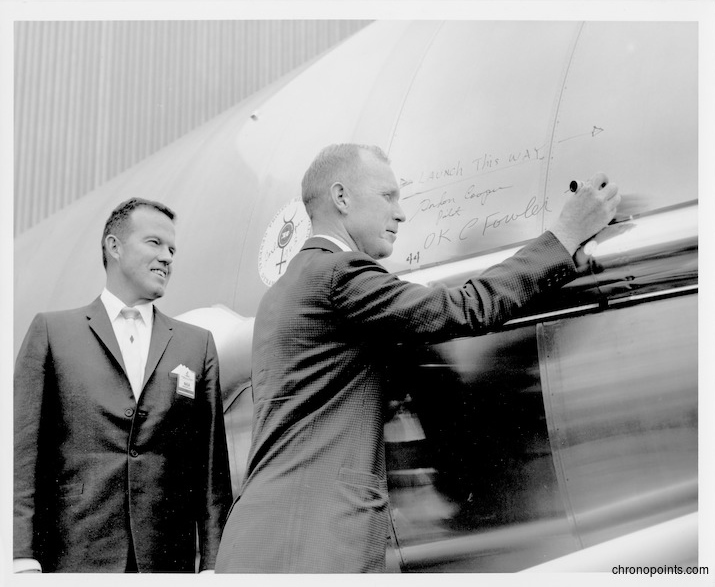 Gordon Cooper (1927-2004) and Cape Canaveral Air Force Station Launch Complex 14 launch manager Dr. Calvin D. Fowler sign the Atlas rocket, which would launch Faith 7 into orbit. 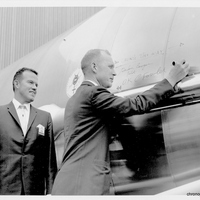 Dr. Fowler and Cooper were at the General Dynamics/Astronautics factory in San Diego, California, to accept the Atlas booster. Cooper was to be the final astronaut of Project Mercury, as it paved the way for Project Gemini. 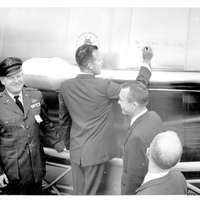 Dr. Fowler would manage the spacecraft preparation and ignite the Atlas launch vehicle. Cooper would become, for a short time, the space endurance record holder. Original black and white photographic print, April 1963: Private Collection of Dr. Calvin D. Fowler. Digital reproduction of original black and white photographic print, April 1963. 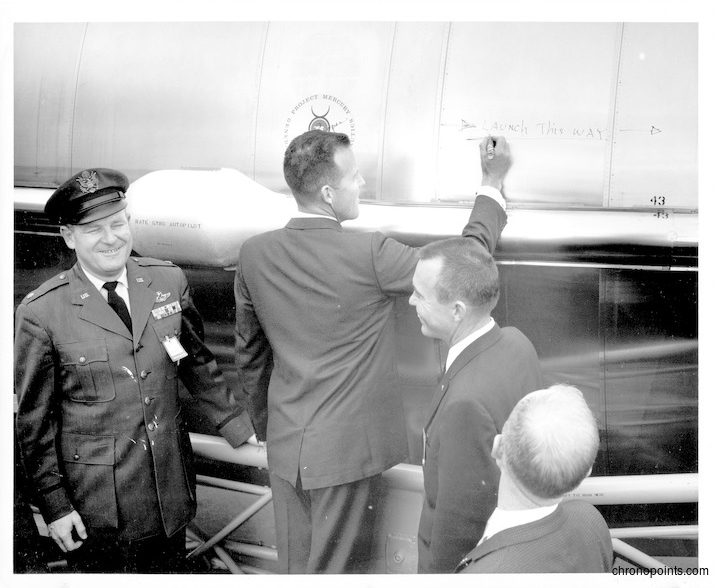 “Astronaut Gordon Cooper and Dr. Calvin D. Fowler Signing Rocket .” RICHES of Central Florida accessed April 24, 2019, https://richesmi.cah.ucf.edu/omeka/items/show/5009.